At last Cherry Mobile Flare fever has finally released its 1GB RAM Flare version, the CM Flare 2X (I guess the meaning of 2X means twice the RAM :P). 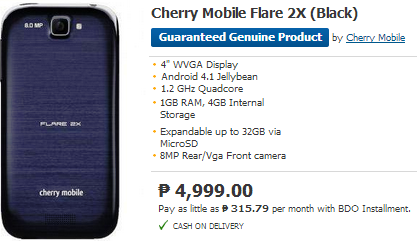 Anyway, the previous Flare 2.0 is priced at P3,999 while CM X2 will be for P4,499 the 500 pesos additional cost is not bad at all, specially if you use more apps at the same time. Hopefully they will increase the battery capacity, so like 2000mAh and they make additional Php1,000 instead. 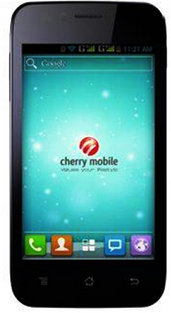 Priced at Php4,499. 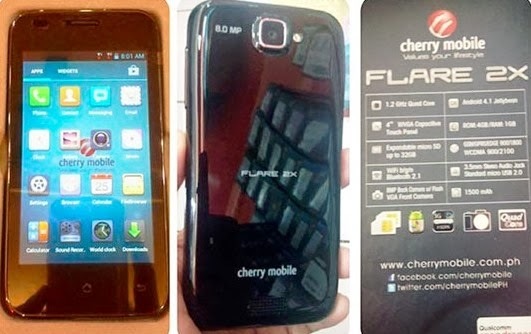 Out now nationwide, but according to Cherry Mobile Facebook page the Cherry Mobile Flare 2X only has limited stock, and might not be available on every city specially in provinces. Your best bet is purchase directly at Lazada PH using this link http://www.lazada.com.ph/cherry-mobile-flare-2x-black-85331.html but the price there is P4,999 which is P500 expensive that SRP. Not much difference from Flare 2.0, there are only two things that they differ from each other, the RAM and the glossy back cover of X2. Confirm ko lng po... the difference between the Flare 2.0 and Flare 2x is not only in the ram but also in the camera.... the 2x has an amazing ly 8mp camera on the back while the 2.0 only had a 5mp camera.... Flare 2x user here..